The confederate flag is a symbol of hatred and it’s nice that it’s going away. But CGP Grey examines in this video explainer how the confederate flag we know and hate wasn’t actually the national flag of the Confederate States of America. They had many national flags but the flag we’re banning was never it. Many of the flags the Confederates adopted and used in battle were very similar to the flag of the Union so they were always changing their flag, from an all blue to the real stars and bars to a white background flag to a white background flag with a red bar at the time they surrendered. But the flag we know as the confederate flag was a battle flag used by the army and navy to differentiate itself from the Union, not the government flag. 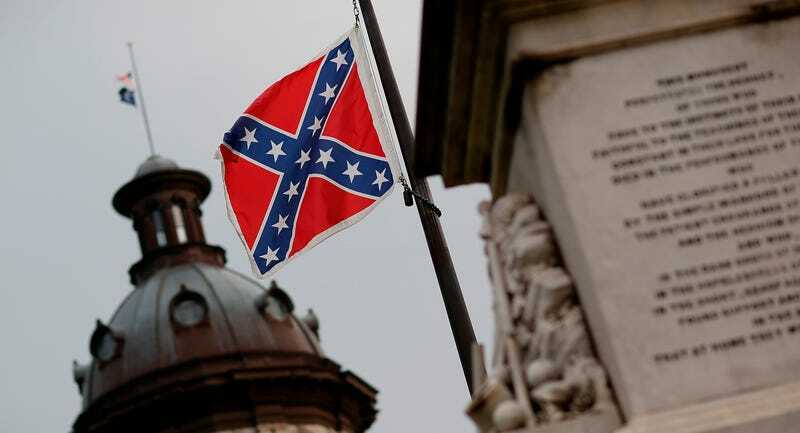 So though the design of what we thought was the confederate flag was used in certain elements, it was never actually used as the flag of the Confederate government. No matter what, good riddance.